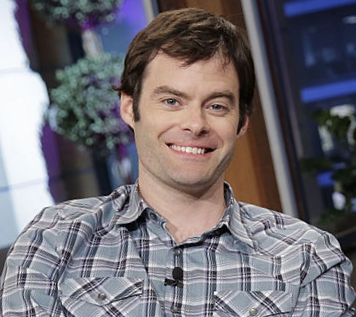 “I don’t like violence," Hader tells Esquire. "People always ask, ‘What’s it like getting to work with a gun?’ I don’t like it. Don’t get me wrong, I like action movies, like Mad Max: Fury Road, and even monster movies—those are unreal, fantasy. But I grew up in the ’80s watching slasher films, and it was like, ‘God, another one of these?'"